OhmBoyz is an advanced stereo multitap delay. 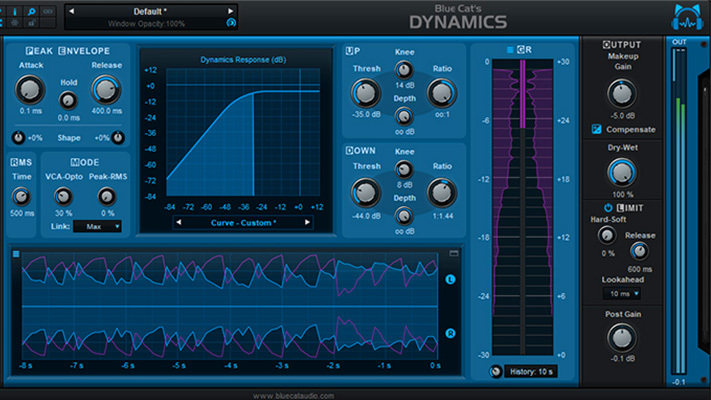 Packed of full of great features, OhmBoyz includes complex resonant filters, distortion high shelf and a total of 39 LFOs. 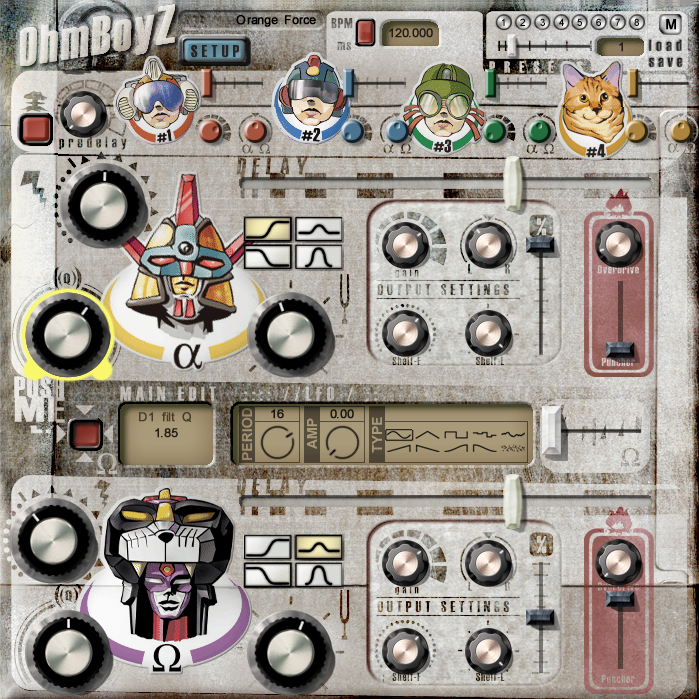 OhmBoyz is a unique filtered delay effect sure to take its user's sound on a journey through space. 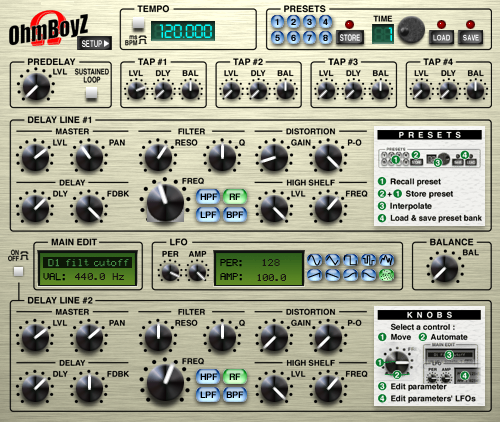 OhmBoyz is a filtered delay effect available in two interfaces, the 'classic skin' and the 'funky skin.' 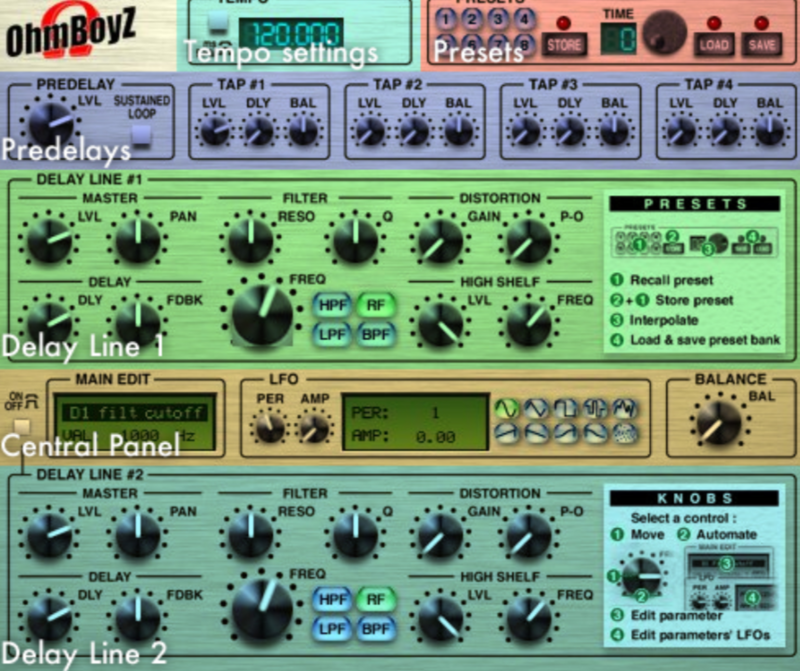 With eight preset memory allocations, OhmBoyz makes it easy for the user to quickly cycle through their own custom preset settings. Use the 'time' knob to set the transition time between the presets. Set the transition time to '0' and watch your presets change instantaneously. The higher you set the 'transition time,' the longer it will take for you to switch through presets. You can achieve unique atmospheric soundscapes when using this technique. 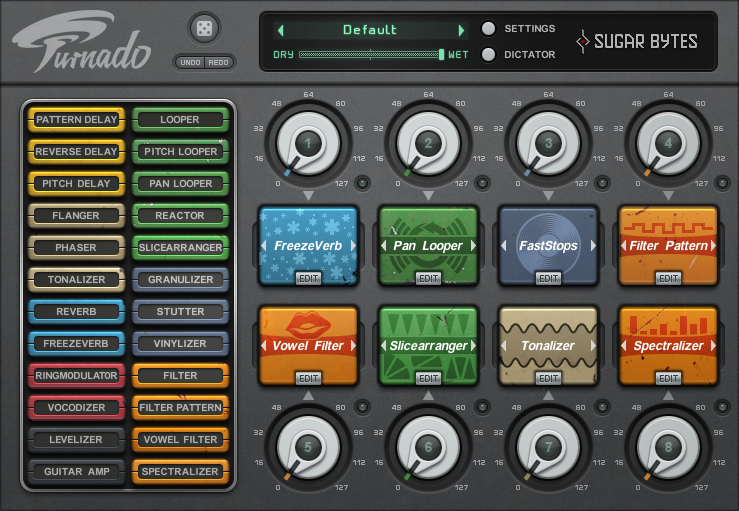 All faders and knobs in OhmBoyz have two ways to be manipulated: 'direct action' and 'side-clicks.' The manual gives a detailed description of how to accurately use both ways. With two different ways to work with your parameters, the accuracy within OhmBoyz is fantastic. 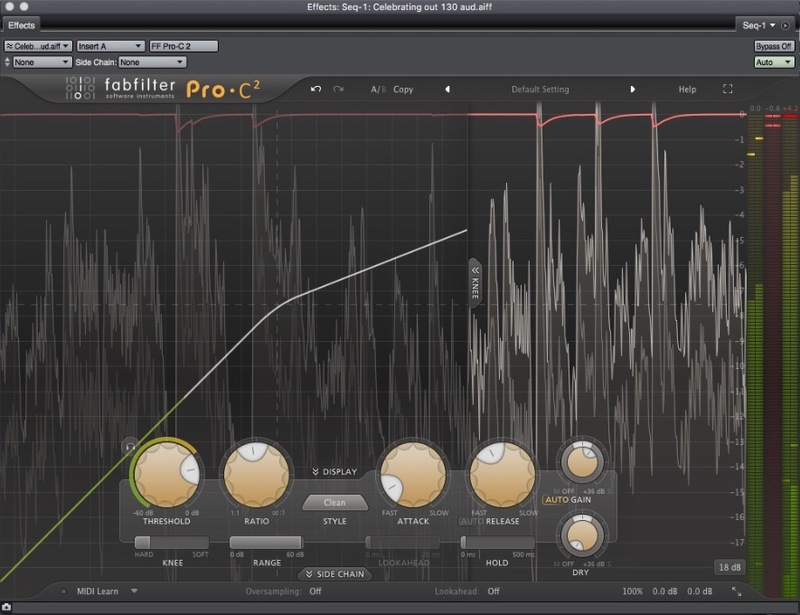 A great thing about Ohmforce plug-ins is the 'linked knobs.' OhmBoyz is no different, providing the user with the ability to manipulate more than one parameter at once using the 'linked knobs' function. OhmBoyz supports full MIDI control. OhmBoyz signal flow is built up of two primary stages: 'Multi-tap Pre-delay' and 'Delay lines.' The 'Multi-tap Pre-delay' is comprised of 4 tap delays, which can produce 4 one-hit repeats of the sound, shifted in time. 'Delay lines' is 2 delay lines, each generating a decaying echo of the signal from the predelays. 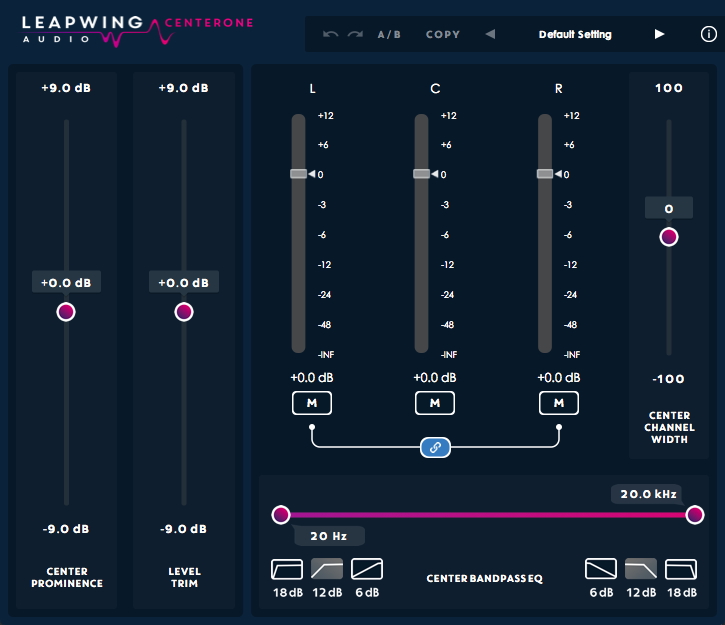 Also, included in the GUI is the 'tempo settings' and the 'central panel' which includes a main edit screen projecting what parameter is currently being edited. 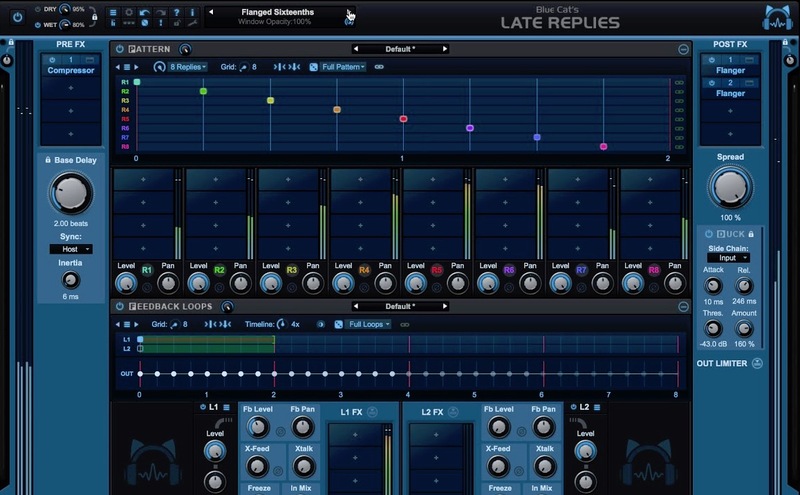 The 'central panel' also includes an LFO control with several different parameters and wave types to choose from to create unique delay and echo effects. Two interfaces. (The classic skin and the funky skin). Tempo synchronization with host application. Unlimited range of sound possibilities. I love presets. I believe they are the perfect starting point when opening any plug-in. Ohmboys was rather a disappointment regarding its presets. It took some time to get the hang of using the preset banks as I found it rather confusing. I also would have liked the ability to jump right in and cycle through the presets as opposed to having to open a folder. I find it complicates my workflow, especially when using a plug-in for the first time. I appreciate how Ohmforce gives its users the option of choosing between two GUI layouts. However, you must download and run each skin separately. It would be much easier to be able to change the layout of the GUI within the plug-in. Not to mention the 'funky skin' is rather tacky and hard to navigate in my opinion. 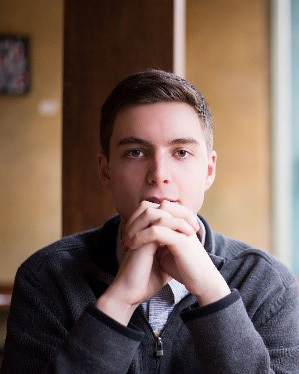 Your MIDI configuration is not stored in the Presets and will not be saved in your project file. The way to work around this is by loading the settings manually after having loaded your project. Clearly this is a workflow issue. It same counterproductive to not be able to save your user-created presets with your MIDI configurations. I was pleasantly pleased with Ohmforce's OhmBoyz. It is a solid delay unit that will bring life to your sound. The ability to create atmospheric soundscapes is great. 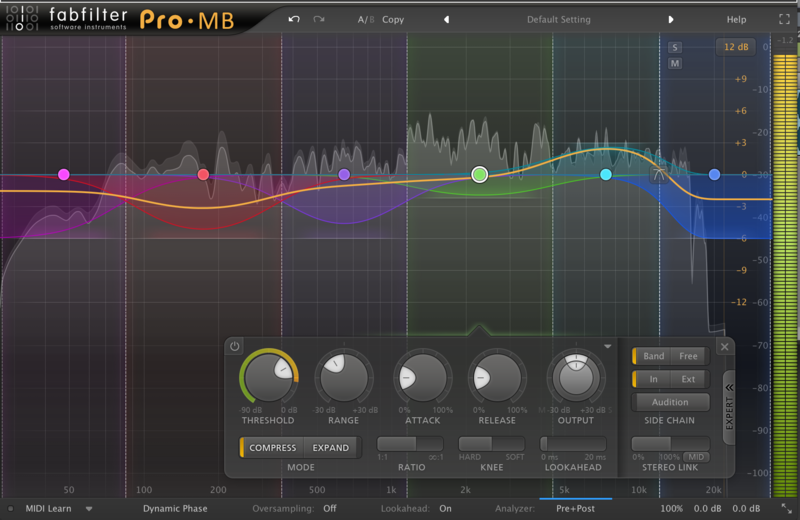 The perfect plug-in if you are into creating ambient tunes or love creating long-tail echoes or delays. I was very impressed with how accurate you can get with setting parameters. I found many times I could capture the exact sound I was going for. Thankfully this was the case because the presets lack in quality and ease of use. I found my initial experience with OhmBoyz rather confusing. 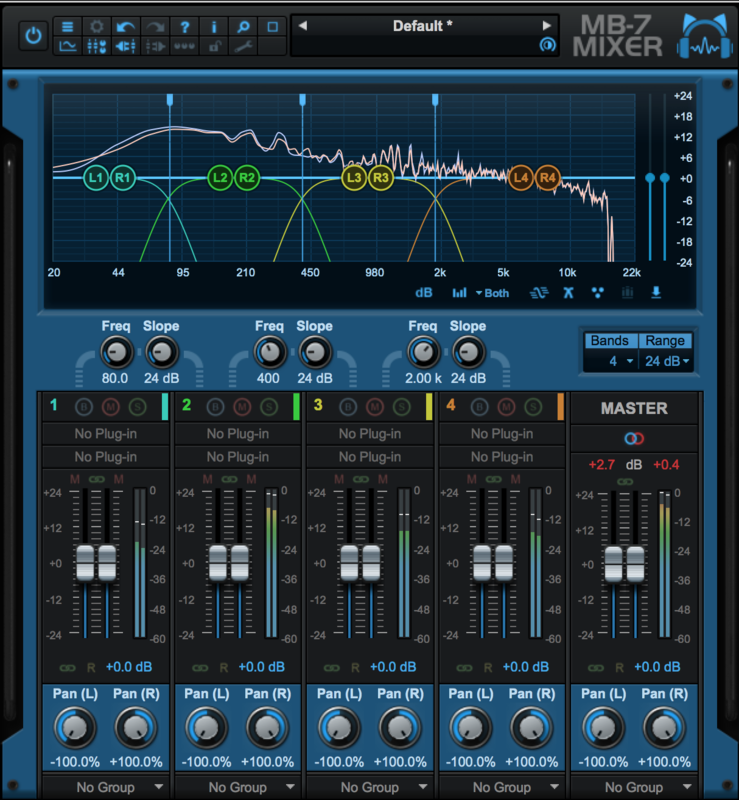 What the plug-in lacks in intuitiveness, it makes up for with the quality of sound it produces. One thing I enjoyed is the ability to link parameters and edit them simultaneously. I am someone who loves to play and audition effects live. Even when I am recording in the studio I would much rather record live automation as opposed to programing my desired effect. Being able to link parameters and manipulate them at the same time is a great feature. It not only works well in my workflow but it’s fun. I find myself coming up with ideas I would have never could achieve otherwise. OhmBoyz took me some time to get use to; however, I was impressed by the results I could produce.